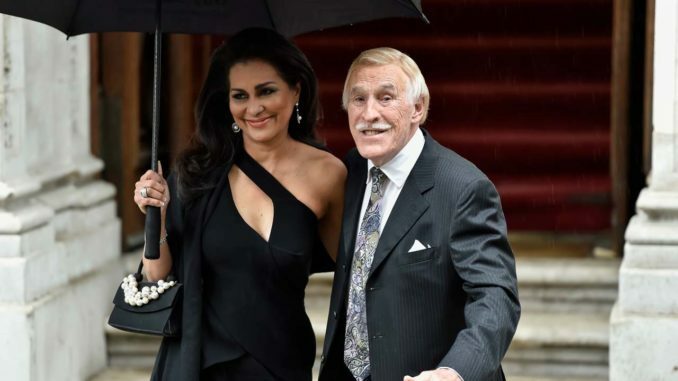 Bruce Forsyth, the British television presenter who was the face of primetime family game shows for decades, died on Friday at the age of 89, his manager announced. Tributes poured in for the veteran entertainer, whose catchphrases — “Didn’t he do well?” and “Nice to see you, to see you.. nice!” — were adopted into the national discourse. “From the moment we met, Bruce and I did nothing but laugh our way through a decade of working together,” said Tess Daly, his co-presenter on hit BBC ballroom dancing show “Strictly Come Dancing” from 2004 to 2013. Born in 1928, Forsyth wanted to sing and dance from an early age, and made his television debut in 1939 in a talent show. But he struggled to make a career out of his passion, until he was picked to host a Sunday night TV variety show in 1958, which propelled him into the limelight. He hosted the BBC’s flagship Saturday early evening show “The Generation Game” during the 1970s, attracting millions of viewers, and a slew of family game shows followed. Forsyth won over a new audience with “Strictly”, which has since inspired numerous international spin-offs included “Dancing with the Stars”. He had retired from the public eye in recent years, and was reportedly hospitalised for a severe chest infection in March. In a statement, his manager Ian Wilson said his health had deteriorated in recent weeks and he contracted bronchial pneumonia. “It is with great sadness that the Forsyth family announce that Sir Bruce passed away this afternoon, peacefully at his home surrounded by his wife Wilnelia and all his children,” he said.